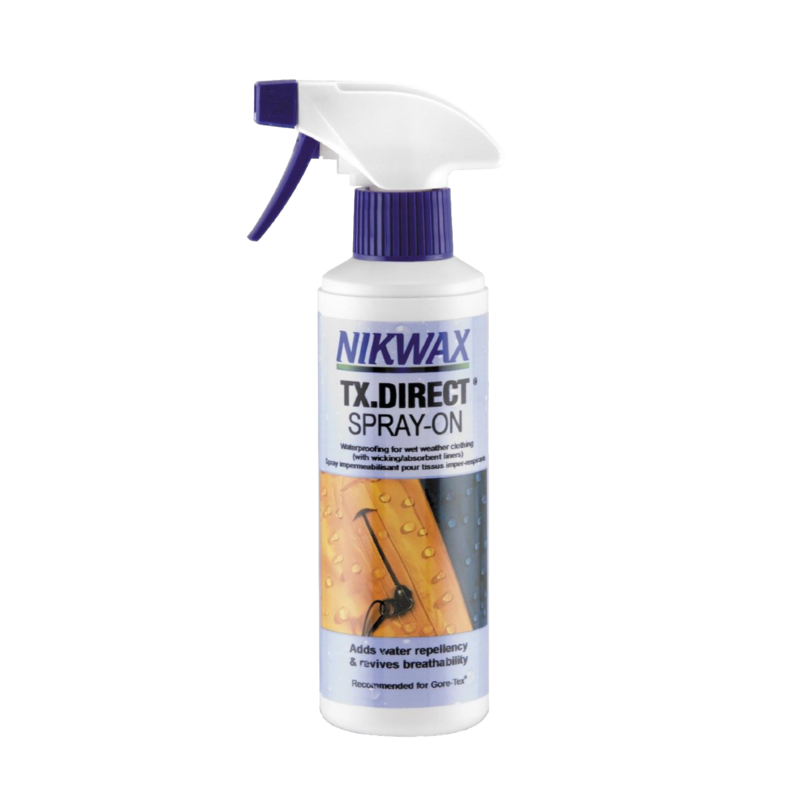 Apply the easy-to-use Nikwax TX.Direct spray-on water-repellent treatment to revive water repellency without adversely effecting your wet-weather clothing's breathability. High-performance, low-impact solution adds durable water repellency, revives breathability and maintains internal wicking properties. Provides high-performance waterproofing while maintaining fabric breathability. Easy, wash-in application is effective on all waterproof / breathable laminates, coatings and microfibers. Recommended for Gore-Tex®, Ultrex, Entrant®, eVENT® and Triple Point. Water-based and biodegradable formula contains no fluorocarbons or VOCs. Nikwax is a global leader in safe, high-performance waterproofing and cleaning solutions for clothing, footwear and equipment.